A federal judge has shot down a Presidio County landowner’s lawsuit against the Trans-Pecos Pipeline. For more than a year now, some landowners and residents in the Big Bend region have been speaking out against Dallas-based Energy Transfer’s natural gas pipeline from the Permian Basin to the Mexican border. But opponents haven’t been able to stop the project from moving forward. 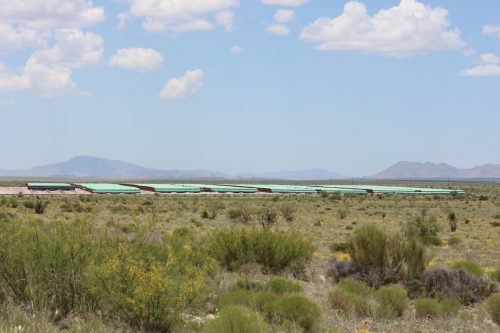 The company has been gearing up for construction in recent weeks, with the Alpine Avalanche reporting that trenching is expected to begin in Brewster County by mid-August or early September. 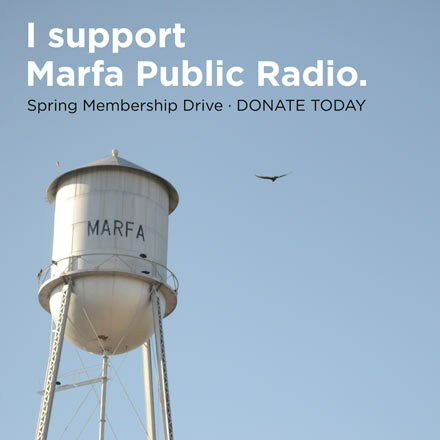 Part of the pipeline is slated to run through John Boerschig’s 11,000-ace “South Shurley Ranch” south of Marfa, Texas. Boerschig is among the dozens of landowners whose land has been condemned by the pipeline company under Texas’ eminent domain laws. Boerschig sued the company in federal court earlier this month, claiming the company’s move to condemn his land against his will violated his 14th amendment right to due process. District Judge Robert Junell dismissed the lawsuit on Wednesday, citing the “Anti-Injunction Act,” which prohibits federal courts from blocking proceedings in a state court. Junell agreed with the pipeline company’s argument that the company’s eminent domain action against Boerschig is already a court matter at the state level, making it out of federal jurisdiction. Boerschig has appealed the decision. His attorney Renea Hicks said he does feel his client still has a strong case. “We disagree with the judge’s ruling – but the ruling itself is procedural, he didn’t say anything about whether our claims are good or bad,” Hicks said. In court filings, the pipeline company dismissed Boerschig’s complaints as “vague.” The company also said that essentially, Texas courts have upheld energy companies’ right to condemn land for certain projects in the past, and this project is no different than those. “We are pleased and look forward to continuing the process of constructing the pipeline in a safe and timely manner to have it in service in early 2017,” an Energy Transfer spokesperson said in an emailed statement. Boerschig’s lawsuit will most likely be dead if it fails on appeal. Wednesday’s ruling on the case comes about three months after the Texas Supreme Court agreed to rehear a years-long eminent domain battle between another Texas landowner and a pipeline company. This entry was posted in KRTS News and tagged big bend, Courts, Economy, eminent domain, Energy, Landowner Lawsuit, Landowner Rights, Law, Natural Gas, Oil and Gas Industry, Presidio County, Ranching, Trans Pecos Pipeline. Bookmark the permalink.